Avrainvillea erecta in Honolulu waters. PC: University of Hawaii. 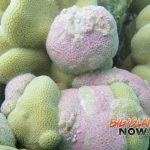 Researchers at the University of Hawai‘i at Mānoa are asking the public to keep a watch out for a new species of leather mudweed discovered in Hawai‘i waters. The invasive algae could pose a threat to local marine ecosystems. Scientists working under the University of Hawai‘i at Mānoa Botany department have found two populations of the mudweed living near O‘ahu shores. According to its physical and genetic characteristics, it is likely a strain of Avrainvillea erecta. Previously, a similar species called Avrainvillea amadelpha overgrew shallow reefs in Maunalua Bay near East Honolulu and inundated seagrass meadows. 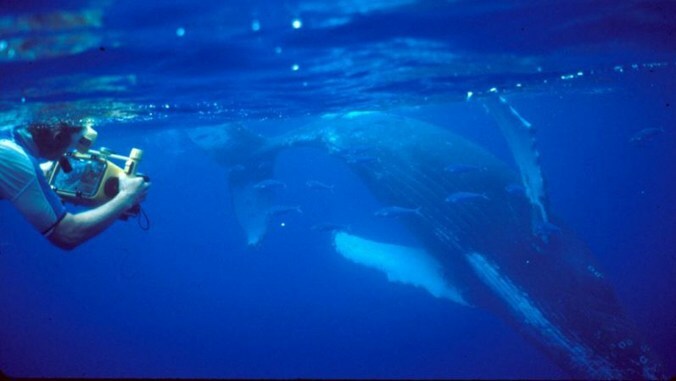 However, the impacts of the newly found species are not fully known and require further study. Avrainvillea amadelpha or Leather Mudweed in Honolulu waters. Courtesy photo. Researchers say the two species of algae are relatively easy to distinguish and identify in the water. Avrainvillea amadelpha is generally dark gray or brownish green in color and forms patchy carpets on either rock or sand. In contrast, Avrainvillea erecta generally has one green, kidney-shaped blade and a long, conical holdfast. 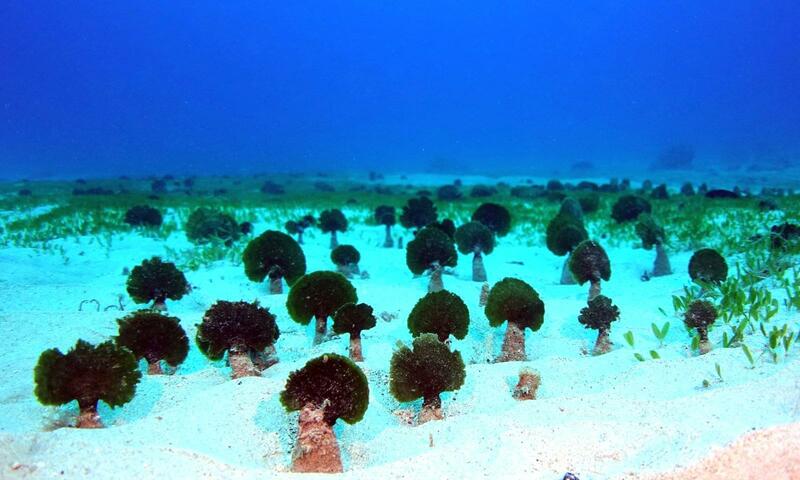 It is only found in sandy habitats. 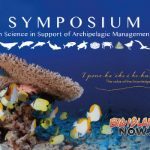 No one knows exactly how the algae came to Hawai‘i. Because of its proximity to urbanized estuaries and major seaports, it may have been introduced through boats frequenting the area. 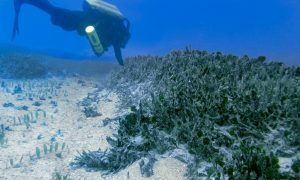 It’s also possible the algae was among debris that washed up in Hawaiian waters following the 2011 Tōhoku earthquake and devastating tsunami in Japan. The public is asked to keep an eye out for either species. If spotted, the algae should be reported through Eyes of the Reef or by contacting Wade at rmwade@hawaii.edu.